Trucker Caps are as attractive as they are functional. Part of the Ball Cap is made from mesh that allows air to freely flow around your head thus making you cool all throughout. We have many trucker caps to choose from so be sure to browse our site. 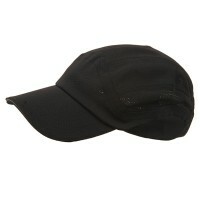 The mesh cap is, essentially, the ultimate combination of comfort and style. The hat features a circular cap with a rounded bill extending from the front, and sometimes includes a button at the top and an adjustable strap at the back. Mesh Caps protect the wearer’s eyes from the rays of the sun and are also favorable for anyone looking for a comfortable, absorbent hat on hotter days. Made with light and flexible material–polyester, spandex, and other stretchy fabric–this hat is made to fit the shape of any wearer’s head while providing a breathable covering from sunlight. 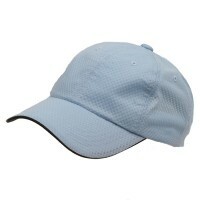 Mesh caps come in a variety of different colors, and may also feature designs, such as a sports brand or logo. This allows the wearer to bear a hat that encompasses functionality while showcasing their personal style and taste. The hat can be worn inside and outside of sports–which only further shows its dual function as a comfortable yet fashionable accessory. Athletic Mesh Caps are a staple in anyone’s wardrobe. They come in classic design and are built with mesh panels for extra comfort. They are also very lightweight so that they don’t cause any discomfort even if worn for a long time. For that classic look, you can opt for Ball Caps as they are available in different colors. This particular hat is not only perfect worn during any sporting event but in any situation. You can wear them as part of your wardrobe or while working out in the gym. If it is highly functional athletic caps you are looking for, the Solid Blank Caps is perfect for you. Not only does it provide UV protection but it is also water repellant. But with its functional design, it also looks very attractive with its bow tie decoration at the back. There are also caps for athletic ladies out there. The Designed Caps provides extra protection but also style while doing outdoor activities. The thing is that we have every design imaginable for you.